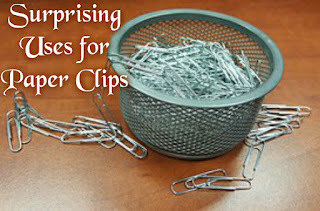 Paper clips are an item that can be found almost anywhere. They are inexpensive and mostly purchased in large quantities. The main purpose of paper clips is to keep papers together. Most of the time though we might only use a few of these clips for this purpose. It seems like a waste having the rest just laying around. So what else can these pins be used for. Turns out there are several other uses for these. 1. Unclog particles stuck inside the holes of salt and pepper shakers. 2. Replace as a lost string from a tea bag. Attach the clip to one corner of the tea bag to easily make your tea. 3. Seal bread, chips, or any other foods kept inside bags to keep fresh. 4. Straighten out one end of the paper clip and wrap a thin piece of cloth around it to clean hard to reach areas such as keyboards, bottoms of shoes, and other small crevices. 5. Unclog nozzles from glue bottle openings, spray bottles, or spray cans. 6. Open a DVD drive that has become stuck. 7. Temporarily replace a broken zipper tab. 8. Hold an oversize belt in place. Secure the end of the belt to the rest using a clip. 9. Temporarily hem a skirt. Using a few paper clips, hold your hem in place until you can sew it back in place. 10. Restring a pair of pants or hooded sweatshirt. Tie a clip to one end of the string and feed through one hole until you reach the second one. 11. Hold a broken bra strap together. 12. Fix the link in a broken necklace. 13. Use as a bookmark. 14. Use to reset gadgets with tiny holes such as watches, electronics, and children's toys. 15. Use as a fish hook. 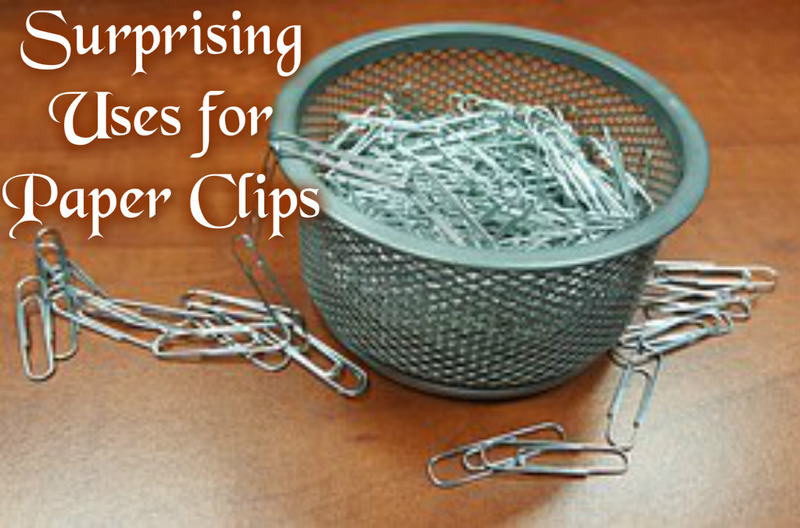 Do you have other uses for paper clips other than keeping papers together? So funny, while I was reading this I was saying to myself," and for..." "also you can..." and each of the things I came up with then showed up later in your list. I can't think of anything I have used it for that you missed. I think you have covered everything I've ever used a paperclip for. And possibly a few I haven't. Thank you for sharing this great list!! This post was similar to a youtube video I saw recently showing other uses for the black paper clips. Very effective!